Prior to joining Vantage Point Advisors, Inc., Naomi Derner was the founder and managing director of Derner Valuation Consulting, where she provided valuations and appraisals of businesses, securities, and intangible assets, serving angel-, venture-, and private equity-backed start-ups, family-owned and closely-held companies, and publicly-held companies. Ms. Derner has extensive experience providing valuations for tax and financial reporting purposes in connection with many types of transactions including mergers and acquisitions, charitable contributions, issuance of stock options and warrants, spin-outs, and the sale or purchase of privately held securities and intellectual property. 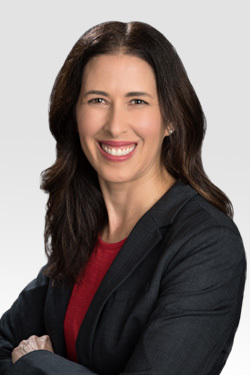 Ms. Derner has valuation experience across a wide variety of industries, and possesses specific valuation expertise in technology and life sciences; business and engineering services; food, beverage, cannabis, and hospitality; and media and consulting. Prior to Derner Valuation Consulting, Ms. Derner held positions in the financial advisory services group at Houlihan Lokey Howard and Zukin, the valuation services group at Arthur Andersen, and the financial analysis unit at the Federal Reserve Bank of San Francisco. Ms. Derner holds the designation of Chartered Financial Analyst. She holds a bachelor’s degree in managerial economics from Carnegie Mellon University and a master’s degree in economics from the University of California Santa Barbara.